Today’s news review looks at coverage of average primary school classes compared with other countries, and warnings from the construction sector of a jobs shortage. On Saturday, 17 September, The Daily Mail and the Telegraph reported that British primary classes are currently the fifth largest in the world, with 26 pupils in an average class. By comparison, China, the largest, has 37 children in the average class. The figures emerged from the annual OECD report “Education at a Glance” which generated wide-reaching coverage last week. The figures also show that the UK has smaller secondary classes than primary. Our statement is included in the Daily Mail’s article and makes clear that the average primary school class size in this country is stable. It is also important to consider additional factors aside from pupil numbers such as the number of adults working with a class, such as teaching assistants and other “non-classroom” staff. 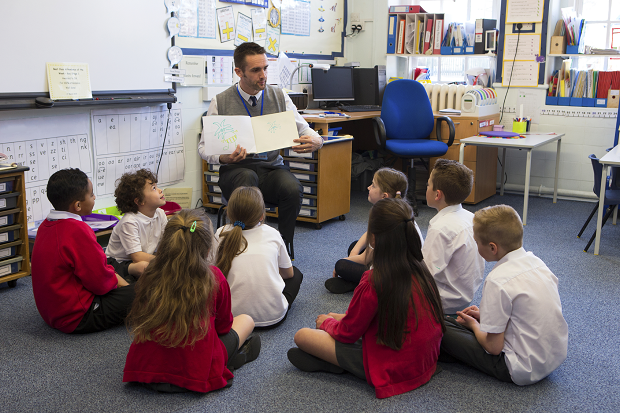 Despite an increase of 104,860 in the number of children attending primary schools in England in 2016, the average primary class size has seen little change. Delivering good quality school places is a top priority for this government, and we are determined to ensure that every child has an excellent education that allows them to reach their full potential. We have committed to invest £7 billion in school places which, along with our investment in 500 new free schools including the 77 we have announced today, will help us deliver 600,000 new places by 2021. Thanks to our work, despite an increase in the number of children attending primary schools this year, the average primary class size remains stable and within legal limits. On Sunday, 18 September, The Mail On Sunday reported on warnings from one of the country’s largest housebuilders of a skilled worker shortage in the construction sector. The warning comes after a letter sent by construction industry groups urging the Government to consider the potential loss of manual labourers after the UK’s departure from the EU. The paper reports that there is concern within the sector that the UK is not prepared for a labour loss, and that there needs to be provision put in place to train new workers. While the piece points out that the Government is committed to developing the skilled workforce, it does not detail how we are doing so. In fact, there will be an extra £2.5billion dedicated to investing in apprenticeships, through our recently-announced levy. In the construction industry, we are putting employers in the driving seat by giving them the power to design apprenticeships. This way, they can create training programmes which focus on the skills, knowledge and behaviours that are required for our future construction workforce. We are committed to developing the skilled workforce our construction industry needs while delivering a ladder of opportunity to help people fulfil their potential. Through the new levy £2.5bn will be invested in apprenticeships by 2019 -20 – twice what was spent in 2010/11.And we are supporting construction employers to design apprenticeships that focus on the skills, knowledge and behaviours that are required for our future construction workforce‎. The Prime Minister has been clear that she wants to protect the status of EU nationals already living here, and the only circumstances in which that wouldn’t be possible is if British citizens’ rights in European member states were not protected in return.